Small, but one of the best coffee shops in Arnhem. Situated in the city center, about 100 meters from the train station. Small smoking area, lot of people waiting to get served, but it is really worth it to be patient. Quality cannabis strains for good prices here! Do they still have Orange Bud? Leave comments! 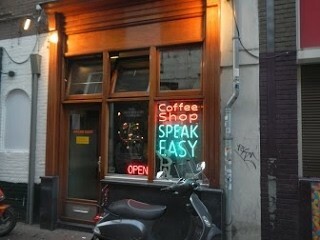 Check the comments about coffeeshop Speak Easy in the comments section at the bottom of the page! This is a great little coffee shop. i visited it in 1994 and the owner was a fantastic guy. I bought some Super skunk and it was a lovely smoke,we also bought some other strains but my memory fails me as to what I purchased at the time. I will visit again in the future as I really enjoyed hanging out there with my girlfriend.